Last Updated: July 23, 2010 | Subscribe to our weekly newsletter! If I had to make a guess, I would say about 80% of the populations likes to take summer vacations (or if you’re European, holidays) instead of winter vacations. Personally, I like taking my vacations in the winter. I do a lot more winter activities than summer activities, but enough about me. 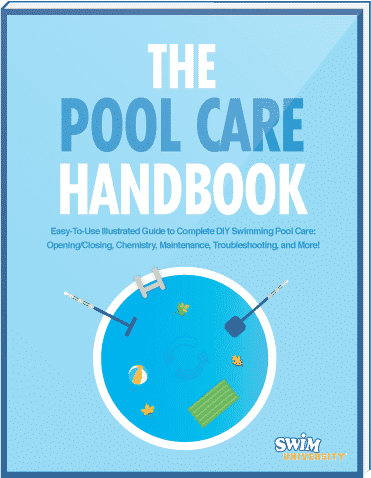 Being that most of our readers take summer vacations and own swimming pools, I figured I would share a few tips on how to take care of your pool while you’re away. I used to get asked this question a lot when I worked at the pool store. It’s not as hard as you might imagine. This is the key to success when it comes to keeping your swimming pool clear while you’re away. Hopefully, your pump already has a timer. If not, I would invest in one. They are a crucial part of proper pool care. Set the timer to run the pool at least 8 to 12 hours a day. If you can split up the times, great! If not, it won’t be a problem for it to run 24 hours a day. Running your pump and filter is very important to keep your pool clear and it’s better to leave a timer in charge rather than a human. Take a sample of your pool water to your local pool store and get it professionally checked. Make sure when you get it checked that you correct any issues before you go. You want to make sure that your pH and alkalinity are properly balanced and your sanitizers levels are correct. Also, make sure your pool is clean and crystal clear before you leave. When your pool is cloudy and you want to get it clear again, you have to make a choice whether to use a pool clarifier or a flocculant. In this guide, we'll introduce some reasons on why you might have foam in a pool, how to prevent it from happening, and how to get rid of it. What do you do with your pool after it rains? Rain can affect your pool chemistry. Follow this checklist to keep your pool clean after a heavy rainfall.